Been quite some time since my last post here. Far too many distractions going on with the day job at the moment! 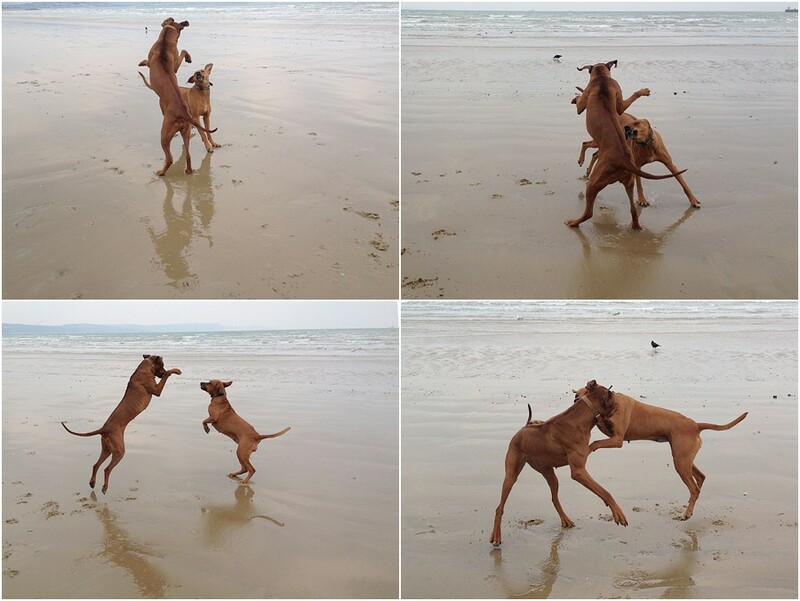 These pictures are even quite old, taken earlier this year on Weymouth beach. When the dogs had free run of the place before the tourist season kicked in! 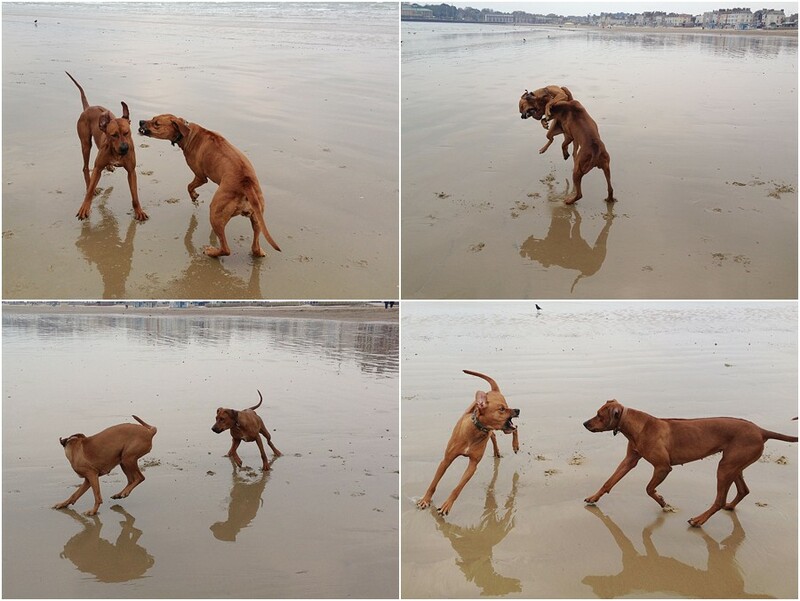 Rhodesian Ridgebacks are very dynamic dogs at play and this sequence illustrates it perfectly. Nala & Maya in full flight. Plenty of contact, turning and grappling – almost like a Judoka. I love the frame of the two on their back legs, legs intertwined and in perfect symetry. 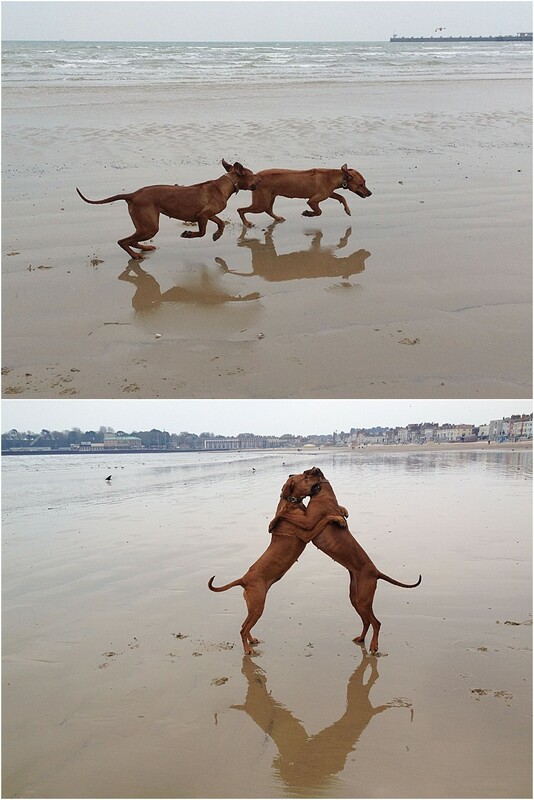 Ridgebacks are very playful, and on the occasions when I cant get them out for a good run (my own shortcomings), they love a good wrestle with one another. PreviousPrevious post:When a camera gets too close to the actionNextNext post:A new litter of Rhodesian Ridgeback puppies is on its way!